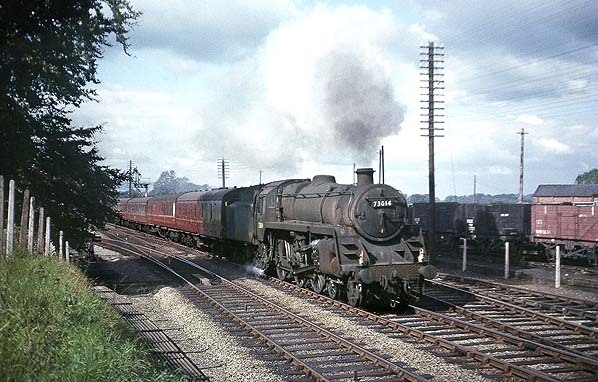 Looking north away from Weston Rhyn signal box on 1 September 1965. To the right of the southbound train are the Ifton Colliery exchange sidings. 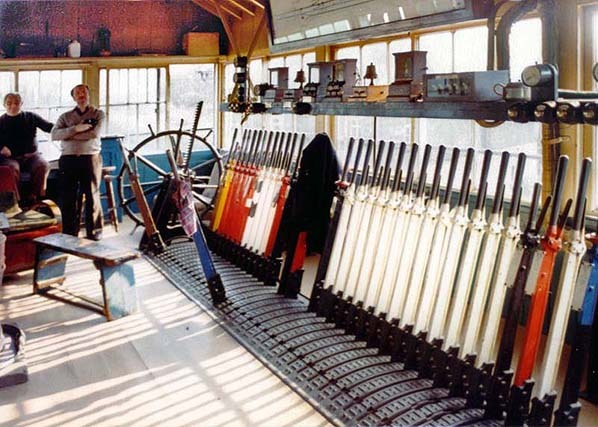 Weston Rhyn signal box seen in the summer of 1980. 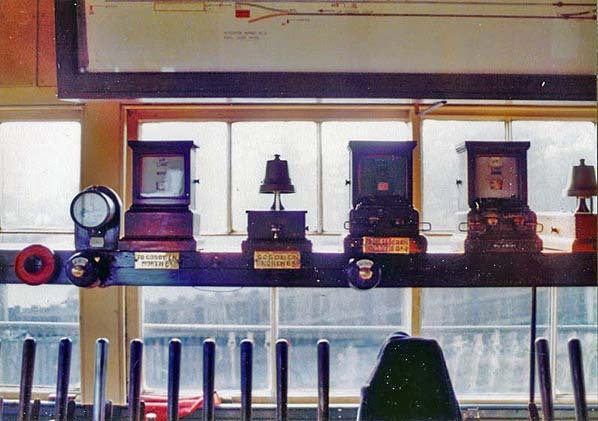 The block instruments at Weston Rhyn seen in the summer of 1980. 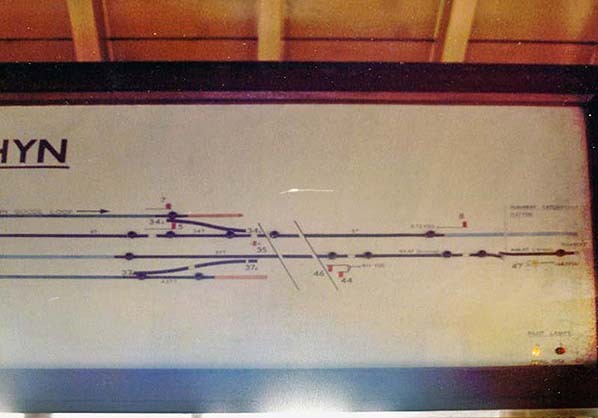 The Western Rhyn signal box diagram showing the station area, level crossing and south end of the loops. The photo was taken inside the box in 1980. 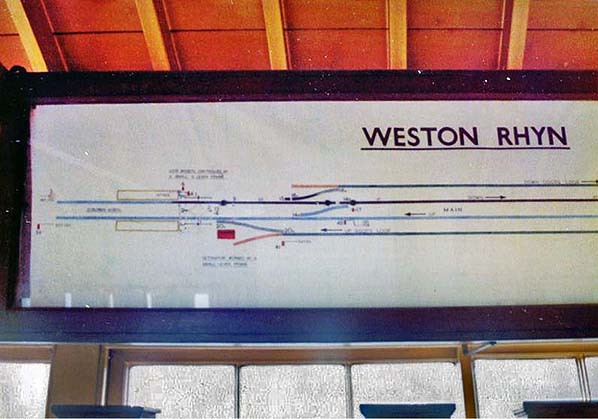 The north end of the loops shown on the Weston Rhyn signal box diagram. 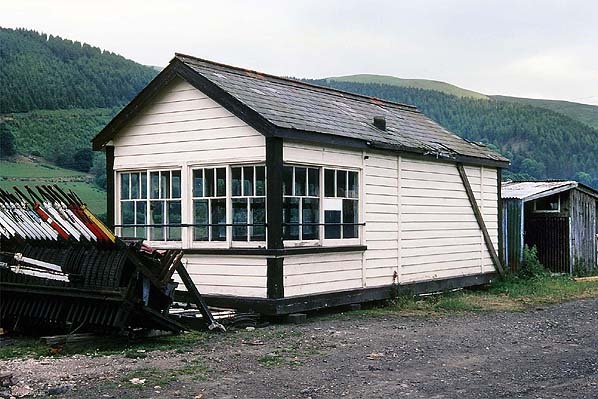 Weston Rhyn signal box in store at Carrog station on 24 June 1995. 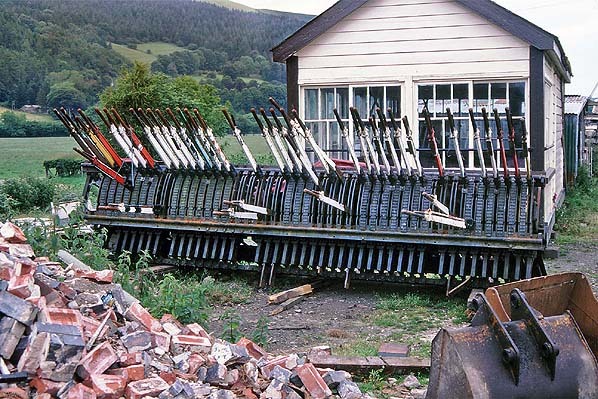 The 47 lever GWR Vertical Tappet 3-Bar frame from Weston Rhyn signal box with the upper cabin seen in store at the Llangollen Railway Carrog station goods yard on Saturday 24 June 1995. 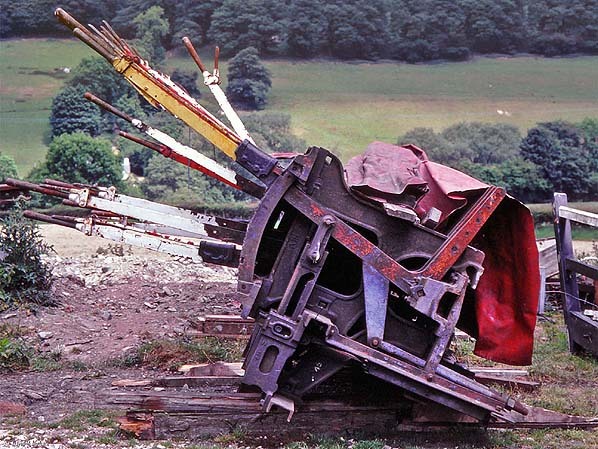 Carrog on 24 June 1995.